A header from Steven Gerrard late in the first half sealed a point for Liverpool after John Terry's early opener in a hard-hitting collision at Stamford Bridge. 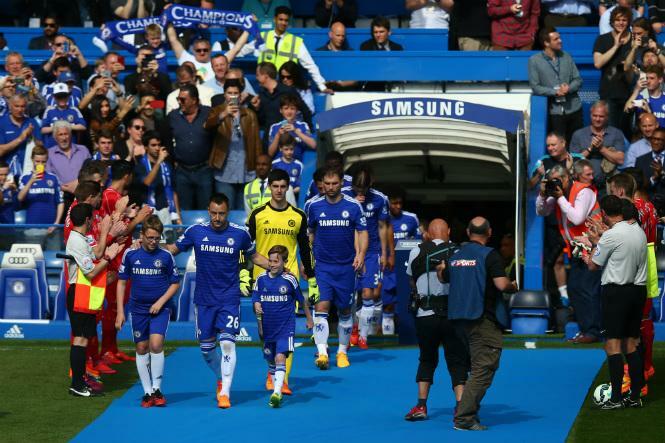 As Liverpool gave Chelsea a famous guard of honour, it would propel a huge chance for 18-year old Loftus-Cheek who was making his Premier League debut. Fabregas lunged into Sterling's ankle; sending the youngster down in excruciating pain. 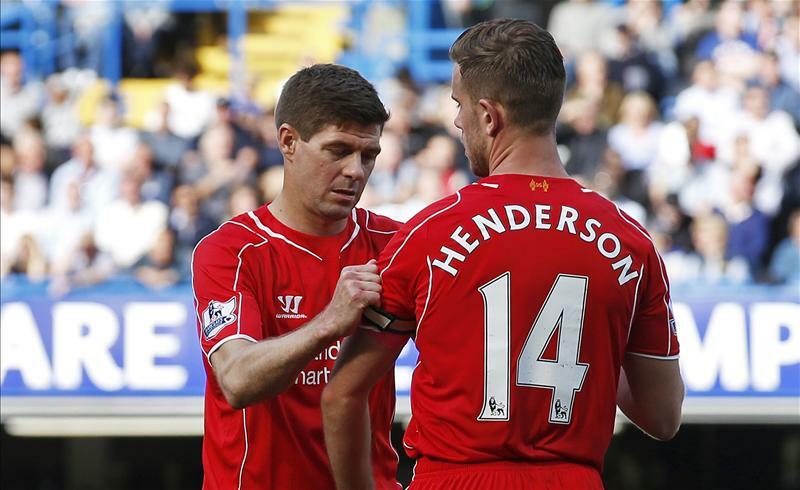 Liverpool's medical staff treated him, and the Englishman limped off the field. Nightmare start for the visitors. 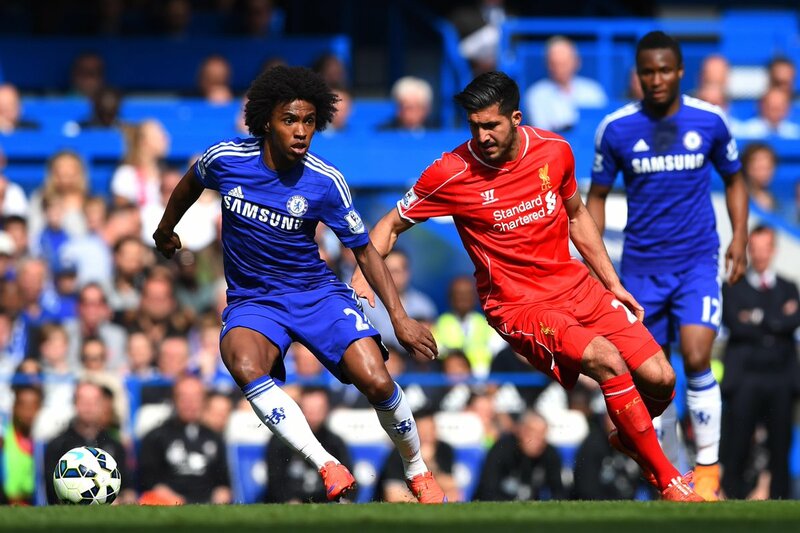 The first real amount of danger occurred as Luis whipped a superb ball over to Willian on the right. The Brazilian crossed dangerously, but Skrtel cleared well but only as far as a Chelsea corner. From that corner, Chelsea halted Liverpool's ever-fading hopes of retaining their place in the Champions League when Terry headed home. The veteran climbed above Lambert, before planting his header past Mignolet. Poor defending on Liverpool's part, who just clearly didn't know what they were doing in that set-piece. Up the other end, Coutinho saw his solid shot from outside the area deflected and bundled out for a corner. Nothing would come of it, but the Blues had to be relatively weary of the threat Coutinho poses from that kind of range. Lallana assisted Johnson on the left side, who fantastically took the ball around Ivanovic towards Courtois's front post and byline. Frustratingly though, he couldn't pick out a red shirt at close range. Gerrard launched a great high-ball towards Lambert, who won a yard, perhaps too much, over Ivanovic and was caught offside in what was an extremely dangerous position at close range. Chelsea were beginning to rally, with Fabregas exemplifying that by scorching down the right byline. The Spaniard fired a low shot at a difficult angle and Mignolet did well to keep his effort out. Hazard scorched down the left, taking the ball past his marker to the byline but his attempted cut-back was intercepted well. After having batches of success in Chelsea's half, the visitors would punish Ivanovic for his foul and equalise just minutes from half time. A free kick on the left was whipped in by Henderson and then Gerrard, found unmarked at the back post, met the delivery to plant a header past Courtois into right hand corner. Game on, as Andre Marriner signalled the end to first half proceedings. Liverpool came firing out of the blocks and almost caught Chelsea out when Lallana, inside the box in space, drilled towards Johnson arriving at the back post but the pass was over-cooked for the English right-back to covert home. Sterling scattered around the box, with three defenders smothering him until being forced to his left side. Cleverly, he turned past Luiz and cut-back to Coutinho but the Brazilian's side-footed shot pummelled against the side netting. Fast, energetic start from the Reds. Liverpool were making life difficult for the hosts; drifting in and out of attacking positions that made it hard for defenders to properly mark. With fourth-placed Man Utd facing Arsenal, a win here would pile the pressure on the Red Devils. Hazard and Remy lead a dangerous counter attack for Chelsea, with the latter feeding Willian unmarked on the right hand side of the box. The Brazilian went for glory, but a deflection took it out of play. 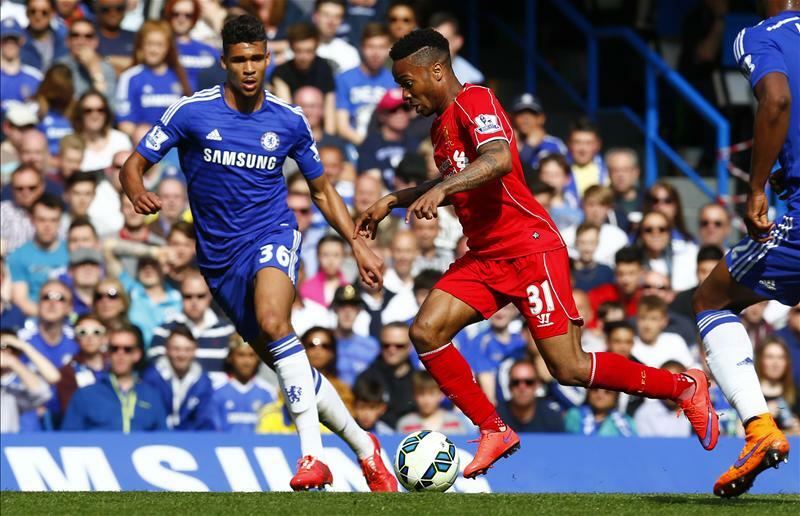 Sterling was looking dangerous, and continued to lead frequent Liverpool counter-attacks. This time, the Englishman scampered through the middle until his attempted pass wouldn't lead to any danger. Brendan Rodgers brought on youngsters Jerome Sinclair and Jordan Ibe in search of what would be a massive win away at Stamford Bridge. With ten minutes remaining, both sides were launching their own attacks in bid of a late winner. Coutinho would almost catch out Courtois, when his effort on the edge deflected off a defender and swerved to the opposite side the Belgian goalkeeper initially went. Luckily for Chelsea, he retrieved possession safely. Liverpool were the side looking more dangerous to steal a winner, but despite their promising build up play, there was no killer instinct there to beat Courtois. Both sides eventually settled for a draw, which will favour the Reds more if Man Utd fail to win against Arsenal. More: Should City go for Pogba with Toure nearing exit? 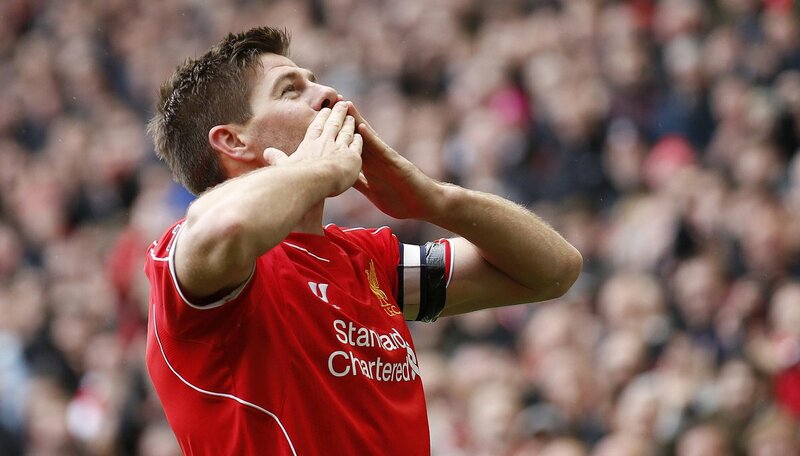 Steven Gerrard cancels out John Terry's earlier goal as Chelsea draw with Liverpool at Stamford Bridge.